Spring into Action is the DAHA kick off event for the growing season – a guest speaker will inspire our members who, at the same time, can place their orders for discounted compost, bean sticks and more. All over a cup of tea and a natter. 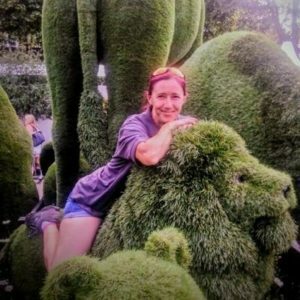 Lou Nicholls is Head Gardener at an experimental private garden called Ulting Wick in Essex which opens for the National Garden Society. She has also worked at Hole Park, Sissinghurst Castle and Ryton Organic Gardens. All this after starting out as a volunteer at Birmingham Botanical Gardens and studying Ornamental Horticulture & RHS Level 2 at Pershore College. Lou has a great deal of experience in organic vegetable growing and will be talking to us about that topic, including the very topical ‘no-dig’ method which is taking gardeners by storm. As usual Spring into Action takes place at the Christian Centre in central Dorking. If you are not a member but would like to attend simply pop down on the night and pay your £3 membership fee at the door.